David Le/Gloucester Daily Times. 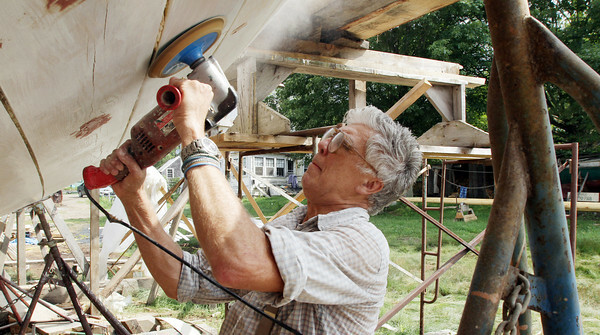 Ed Hanson, of Gloucester sands down some epoxy resin that was leftover on the hull of the Schooner Ardelle on Wednesday morning in preparation for the launch on July 9th. 6/29/11.